No, this version is not available for download! That is because of a problem with the shadows I believe.. If you disable shadows I guess you won’t see the flickering.. Otherwise the shader needs a rewrite..
Amazing work with the shader and the tutorials, they have been very useful in learning how a shader works. Will you make a commercial version of this one and release it on Assets Store? Thank you! I’ve not decided yet about the asset store. We will see, not yet at least. 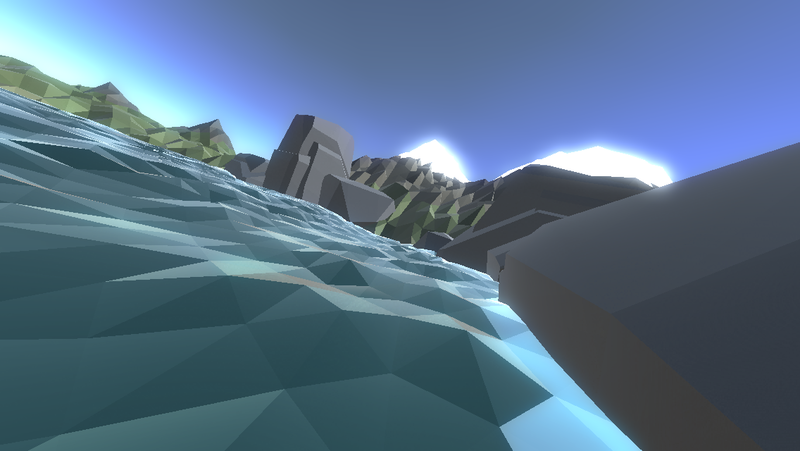 Ronnie, can I buy this lowPoly water? Sorry, Andrew! It’s not for sale! thanks for posting so much information. 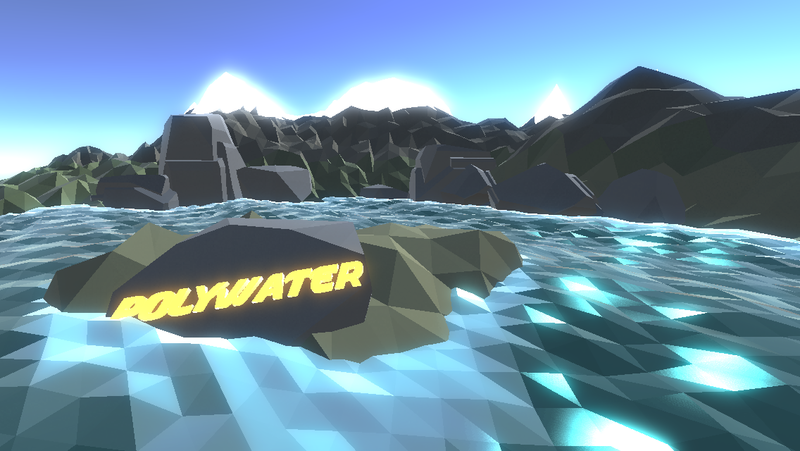 I saw that your initial poly water leverages a geometry shader which is not available on iOS. I have been attempting to port your prior work to IOS, and I saw your examples you have it running on iOS. Are you leveraging a fragment shader to achieve the safe effect? I have basically broken down my mesh into a set of triangles and apply a fragment shader to each of the triangles individually, is this a similar approach you have taken on your latest release? Any help would be greatly appreciated. Thank you! I am creating a mesh that stores the “position” of the 2 vertices that is missing from the triangle in the uvs of the vertice.. That way you don’t need a geometry function.. And can process the triangle in the vertex function..
Hey Ronnie, very impressive low poly design / coding. 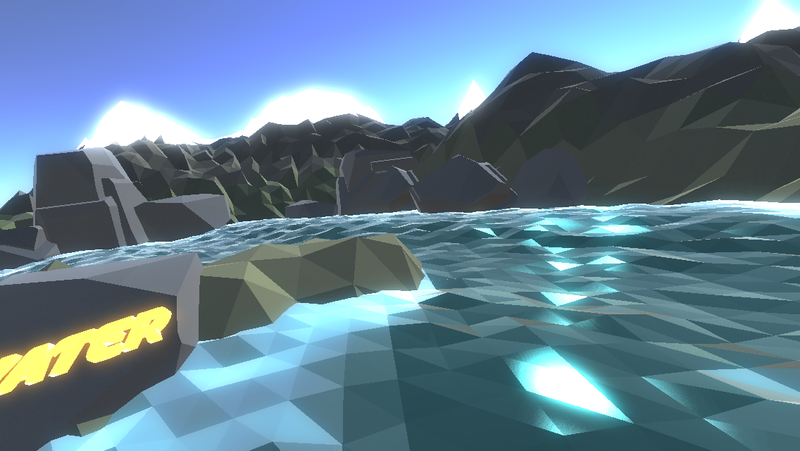 I found this site looking for low poly water shaders and yours looks great, I’d love to get my hands on it 😉 I may be studying your original 2.0 version of the shader. Looking forward to seeing more of Battlemaze! I too have been independently working on a top-down low poly multiplayer action game for a few years now (playsubscapes.com). I would love to connect with you and chat Unity. Do you have estimated time, when this shader will be available in asset store? I really want to buy it. If you don’t plan to sell it… could you share info how you made it? Hi! I’m a only a hobbyist, with not very much time to spend on this, that is why it’s taking so long! I want to put it on the asset store, but I’ve never put anything on the store before, so I need to spend some time figuring out what is the best way to do it.. And actually making games and new things is more fun, so that is distracting the process.. I don’t want to hand this out for free because I’ve spent alot of time on getting it “right” and multiplatform.. But maybe I’ve got it on the store within a month, but I can in no way guarantee it..
Would you be interested in implementing this shader into a project we have? We were originally using your lowpoly water with interactive ripples, but it seems like it won’t work on the new version of unity. If so, shoot me an email. Hi, John! I know the reason why it’s not working in 5.4-5.5. 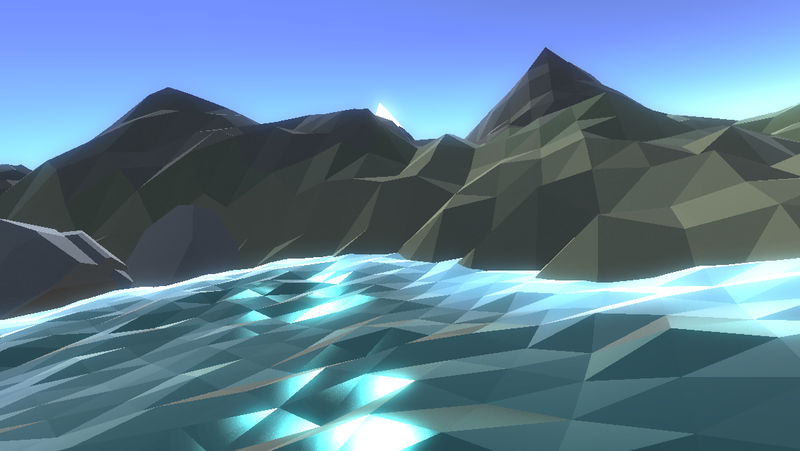 It’s due to the new way Unity handles arrays in shaders!